Chicago, IL, January 19, 2015– DealFly, Innovative Technology and affordable advertising will give businesses of all sizes a chance to interact with consumers. DealFly is launching in the Tristate area to nearly 2.4 million subscribers. By teaming up with multiple powerhouse daily deal sites, DealFly is enabling business owners to be on TV with a few clicks of the mouse. 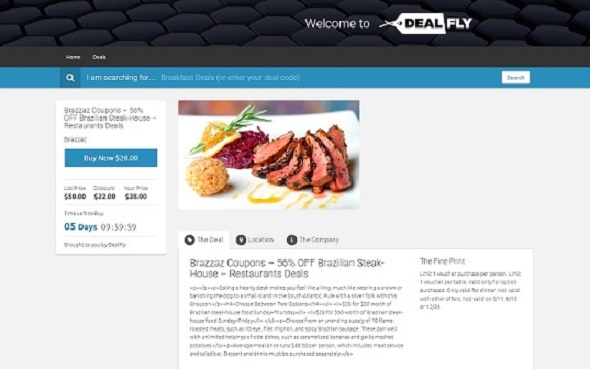 DealFly creates TV advertisements based off daily online coupons a company is running or can create a TV ad off images and text given from those seeking to advertise on cable television. Each TV ad will have a product code; the code can then be accessed through the DealFly.TV website or the DealFly app. For consumers, DealFly offers one off the largest online and mobile platforms for browsing thousands of local Chicago deals! Never before has it been easier to find deals on products, goods and services using versatile and trafficked platforms. If you would like more information about this topic, please contact Jake Muellner at jake@dealfly.tv.